World Freight Network connects 15,990+ employees, in 890+ branch offices, covering 2630+ air and sea ports. World Freight Network is highly regarded within the international freight networking industry. Being ISO 9001 Certified (No: 198345), WFN leads by example; all Members are striving for excellence in all aspects of their operations. Not only would WFN Membership provide you with the opportunity to receive new business from your newfound partners, but also it would help you to convert more sales as your potential clients would have full confidence in your company, knowing that you are internationally connected. At WFN you would have access to dedicated, expert partners to finish the job you start, as professionally and competently as if you had your own office in the destination country - your clients will be impressed by this. Even though a high volume of cargo is exchanged within WFN, the financials within the network are super strong. Due to the sense of family within WFN, coupled with Kelly Bunyan's strong leadership, year on year, 99% - 100% of payments are honoured within the network. With so many companies in the network, this statistic is exceptional and certainly not achievable outside the safe confines of WFN. A payment protection scheme is therefore simply just not required. In fact, WFN Members chose not to opt into a scheme on two different occasions, as they do not feel it is needed. Kelly Bunyan graduated from Southampton University with a degree in Business Economics and French. Kelly spent a total of 3 years in France and Germany, teaching Business English to professionals. Upon her return to the UK, Kelly joined an international computer software company in London. A Black Belt in Kung Fu and Kickboxing, Kelly left the company to start her own business in 2000, which soon became the largest Martial Arts Academy in London. 19+ years later, Kelly is still teaching weekly classes to the elite students in her school. In 2004, Kelly moved into freight networking, combining her past experience and knowledge to create World Freight Network. 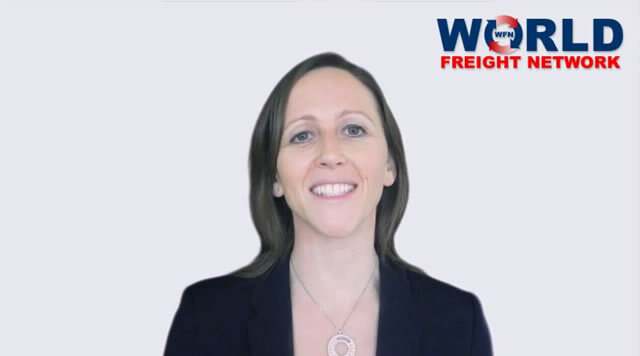 Kelly expanded her network management to Specialist Freight Networks in 2011 and latterly, International Freight Network in 2018. From a personal viewpoint, Kelly feels that with all the war and intolerance in the world, it is a great thing to be able to gather so many different countries and cultures together, for mutual gain. Since 1994, Debbie has gained a wealth of experience in every aspect of shipping, freight forwarding and the logistics industry. Debbie has had access to an extensive client portfolio whereby key accounts, major brand names and blue chip companies have been assigned to her control. Having previously worked for 3 independent, privately-owned freight forwarders and gaining extensive experience in both air and sea freight, as well as import and export, Debbie is well placed to assist in the management of the group's networks. With a strong, proven background in sales, Nicki Johnson is wonderfully placed to recruit new members throughout the group. Nicki is highly skilled in assessing whether applicants will be a strong asset to the existing membership and only selects the strongest forwarders. Tenacious in her approach to sales, she is well equipped to ensure that she actively encourages the best applicants to follow through and join. Dalia's role is to oversee the sales efforts within the group's network. Dalia has assisted in developing a sales strategy, which has ensured the continued growth of all networks. Dalia has worked in a variety of industries over the years and continues to 'multi-task.' As well as a qualified Sports Massage Therapist, Dalia is a Black Belt in Kickboxing and Judo, she teaches Martial Arts with Kelly. Jess has a strong background in network management. A regular attendee at the Group's network meetings, Jess is personable and great at assisting in managing the needs of the members, throughout the Group. Jess thrives in this all-encompassing role, involving marketing, administration, sales - you name it and Jess is there, alongside Kelly, to ensure that IFN, SFN and WFN is not just an average set of Networks, but of an excellent calibre. Jess is also one of Kelly's Black Belt students and teaches weekly Self Defence classes in Central London.